Beautiful cookbook. Full of wonderful Pacific Northwest recipes. 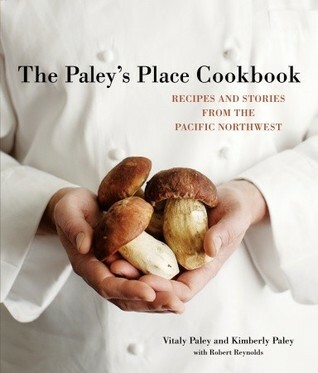 Not a lot for the vegetarian, but the intros by the husband and wife owners of Paley's Place (in Portland) are inspiring and wonderful to read. Every once in a while I just like to read what good food means to people. Recipes that I am taking from this cookbook: homemade ketchup and a savory bread pudding. What else I am taking from this cookbook? A sense of pride and happiness that I live where I live and the food and wine that comes from here.Cheers!